The directorate of government examinations (DGE) has declared the Plus Two Examination Results 2014 (Tamil Nadu +2 results 2014) today (Friday May 9) at 10.00 AM. Krishnagiri student Sushanthi got State First with 1193 marks out of 1200. All the plus two students can check their results online at websites as well as can get results via sms on mobile. Overall Pass percentage in 2014 Plus two exam is 90.6%. Boys pass percentage is 87.4% and Girls Pass percentage is 93.4% . Overall 4,14,211 students got passed in this 2014 HSC Exam. Last year, 88.1 % students passed the exams. List of Toppers with Tamil as first Language. 2. Alamelu is from Dharmapuri. Alamelu scored 1192 Marks. 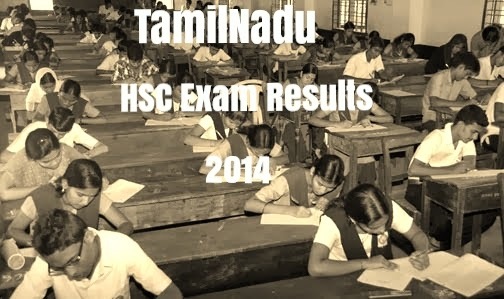 TN DGE – Tamil Nadu Directorate of Government Exam has conducted Class 12th/ Tamil Nadu HSC 2014 examination in March. In India, Plus Two education is essential for getting admission to colleges. In most states in India, the Plus Two is part of high school; in a few, it is called Junior College and is part of college education. Plus Two education is provided by each state individually and Central Board of Secondary Education (CBSE). Each state has its own syllabus for Plus Two while CBSE provides unified syllabus which is followed in all states. I have noticed that lot of people were visiting this page past few days. It seems people are showing more interest to see the results quickly. They need to enter their Registration number / Roll Number and Date of Birth (DOB) in (dd/mm/yyyy) format to see the exam results. And, they can check their results at below websites also. And, Students awaiting their TN State Board HSC examination result this year can get it by SMS as soon as it is put up on the official website. The facility will be available only on BSNL GSM mobile if they send in their registration number in advance by SMS to BSNL. According to BSNL the system can support as many as 10 lakh users at a time. The students will receive both subject-wise marks and total marks in the SMS. The service will cost 3 Rupees. Plus Two students have been advised to send their SMS at the earliest for the results that are to be declared on Friday (May 9th). To register for Higher Secondary (HSC) (Plus-2) results the students should send the SMS in the format HSC Registration Number to 53576, eg. HSC xxxxxx - where xxxxxx denotes the six-digit HSC registration number. The sender will receive an acknowledgement message to confirm the registration. If the sender fails to get the confirmation message they will have to resend the message. The registration message is free of cost and subscribers will be charged only on getting the result. So, if you are BSNL customer you can register your number for getting results even before the results got published. Find below the subject-wise score of State Topper Sushanti. The State Topper Sushanthi said that she is interested to study medical as her father wants her to become doctor. And, she added that she will serve the poor people by becoming Doctor. Two Students got state first with 1193 marks. The results of private candidates will not be availabe online. They can get their marksheets from the centres where they appeared for the exam. Students can apply for re-totalling or to get a photocopy of their answer sheet till May 14 through their school. Only students who apply for the photocopies of their answer sheets can apply for re-valuation later. Students who failed in the plus two exam can apply for the instant exams to be conducted in June. They can apply through their schools from May 12 to 16, while private candidates can apply through their exam centres. Last year (2013), S. Jayasuriya and S. Abinesh from Namakkal got state first with a score of 1,189 marks. In the year 2012, Sushmita from Namakkal got State First in Plus Two by scoring 1189 marks. 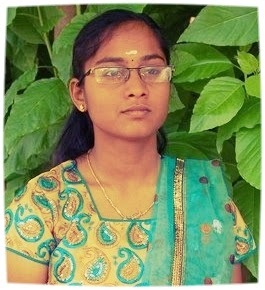 In 2011 , Hosur student Rekha got state first with 1190 marks. Click here to Read Inspiring Quotes of Dr. APJ Abdul Kalam. I'm trying to get good marks in tamilnadu 12th result is it possible for me? can you tell me when will release Tamilnadu 12th Result 2015 for this year.